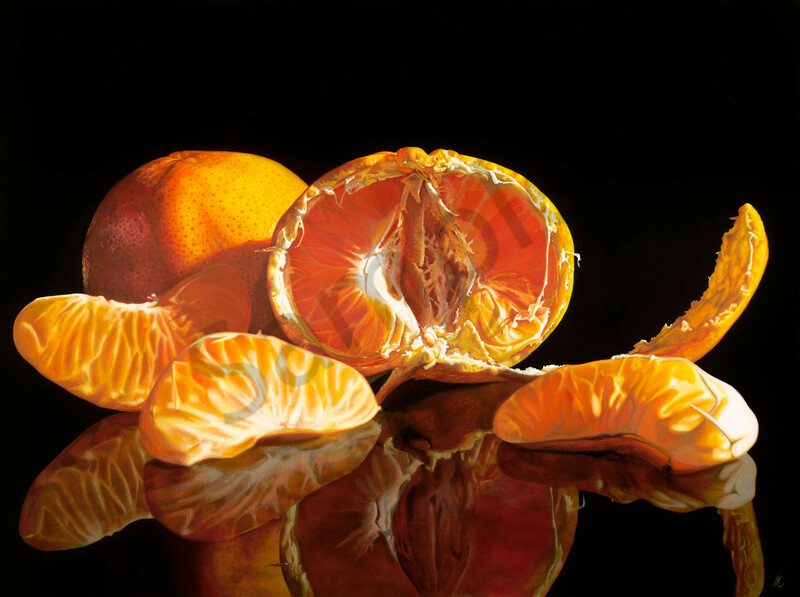 The luminescence and the way the light permeates the very depth of the mandarin is very appealing to me. The fine sinews of the pith as you peel away the skin to reveal the juicy sweet underbelly of lusciousness. The strong citrus scent wafting into your consciousness. Arranging them just right allows the pieces to capture the sunlight and create those intense deep shadows of intrigue and mystery. The beautiful plump body made up of all its little segments. The way the skin peels, each tear being perfectly individual never the same always unique and the seeds creating their own individual interest.